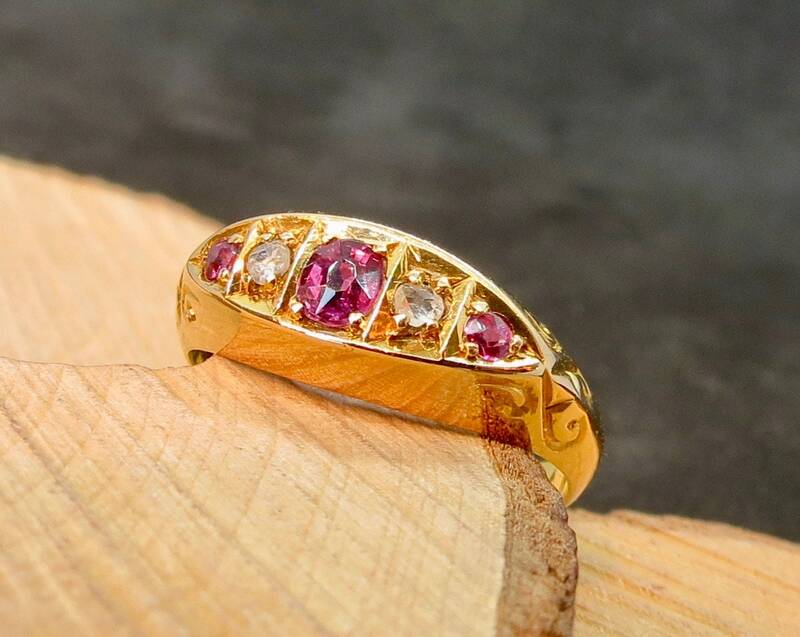 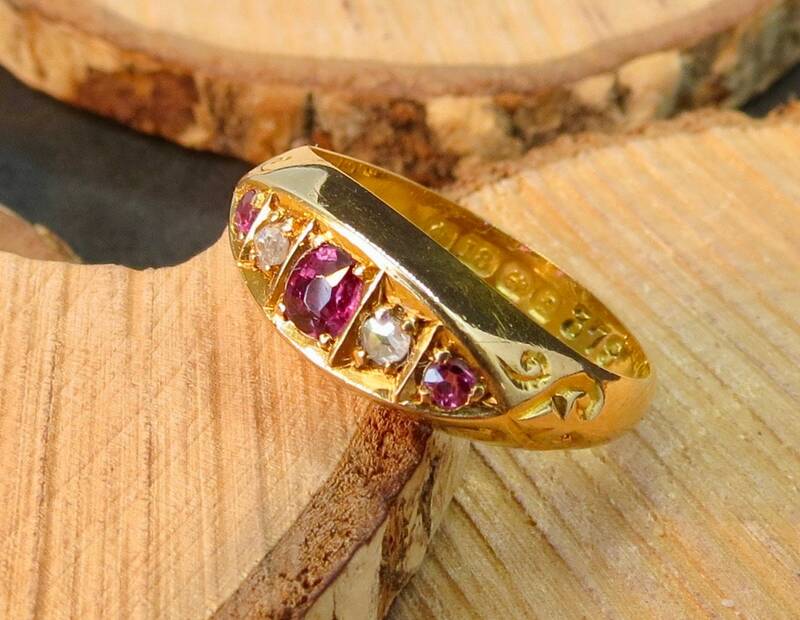 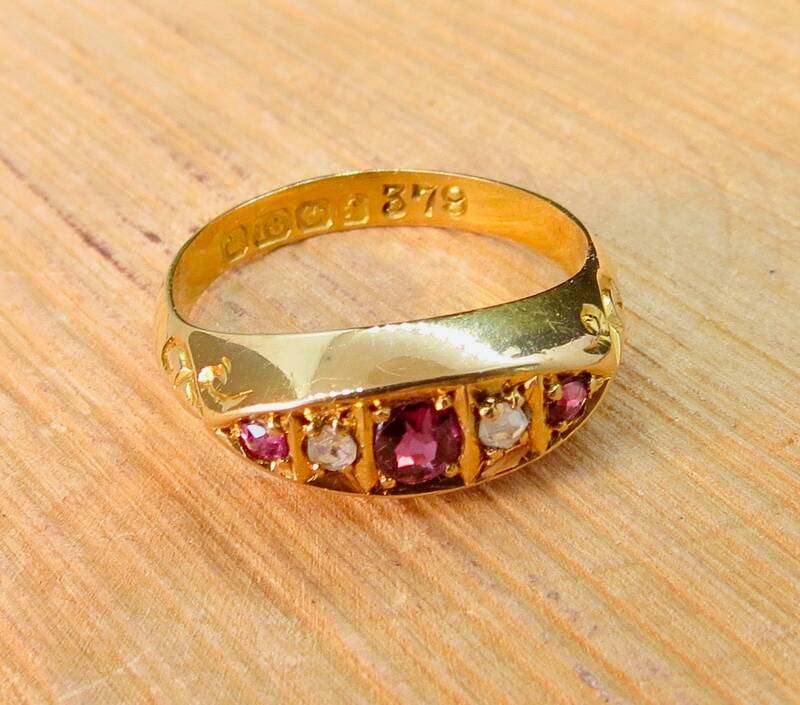 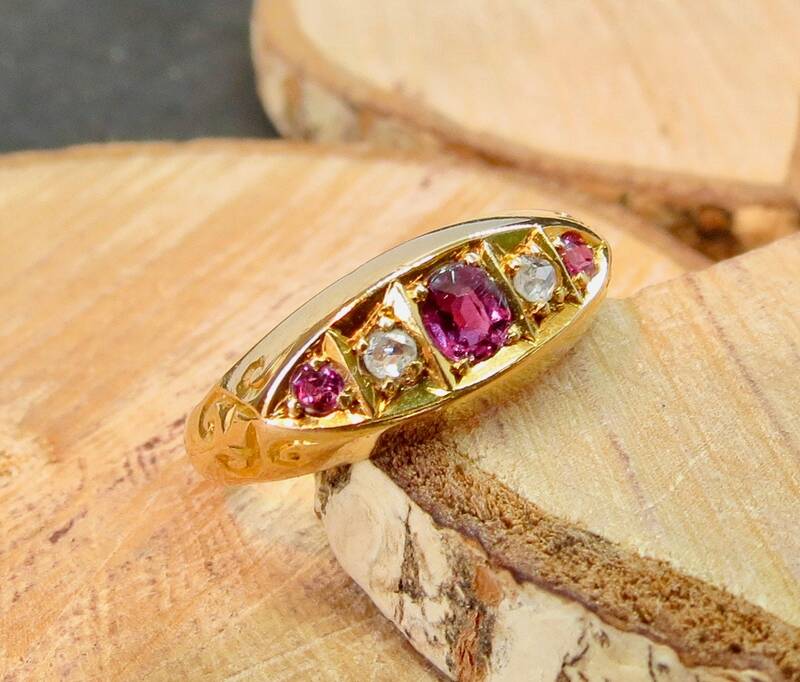 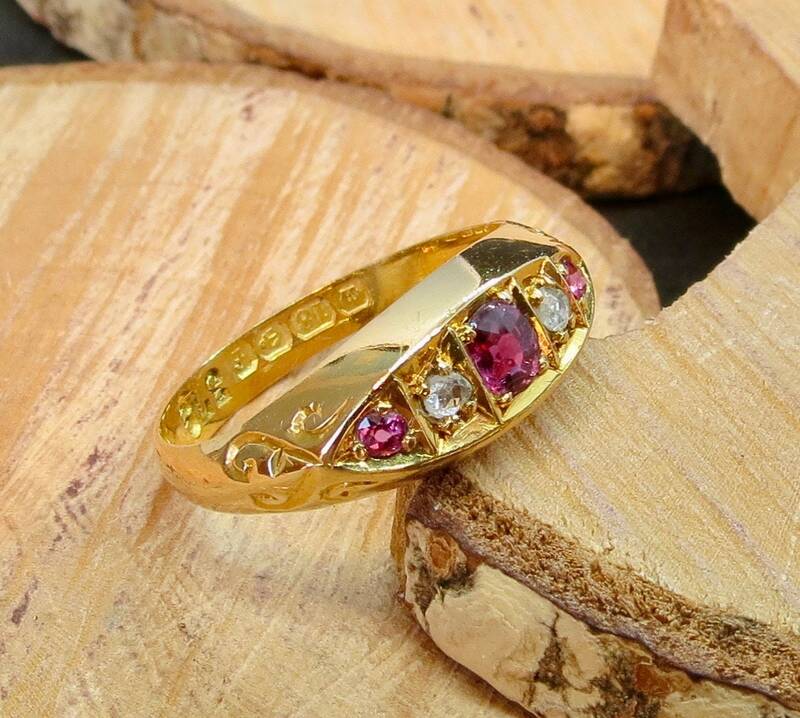 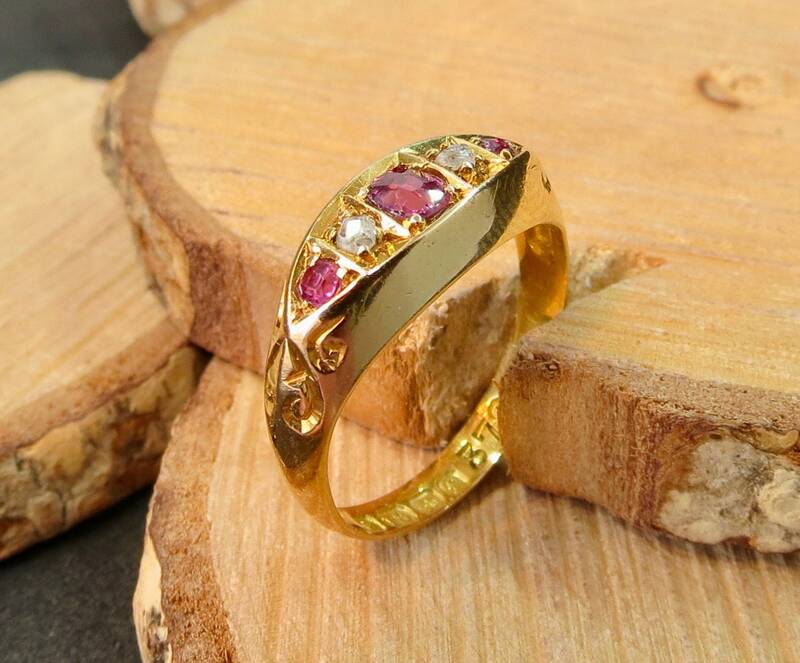 This antique 18K yellow gold ring has two old mine cut diamonds and three round cut rubies mounted in a classic Old English boat setting. 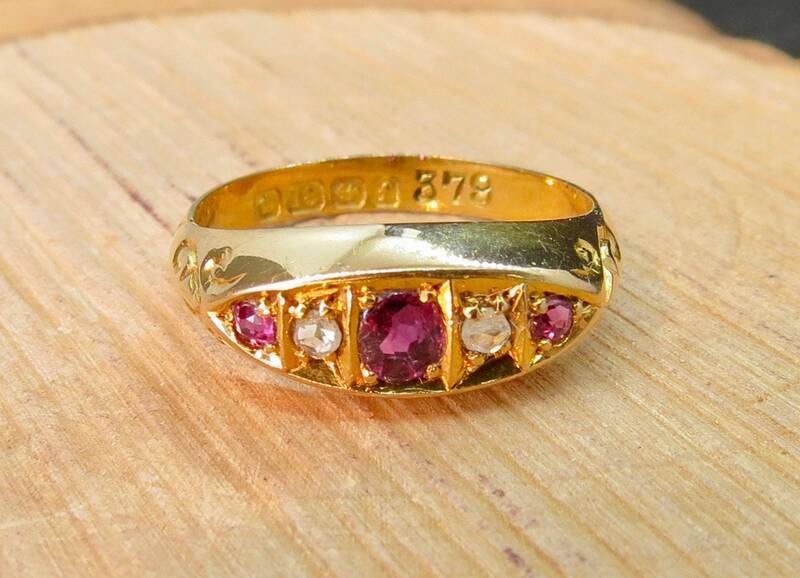 The shoulders are decorated leading to a plain band. 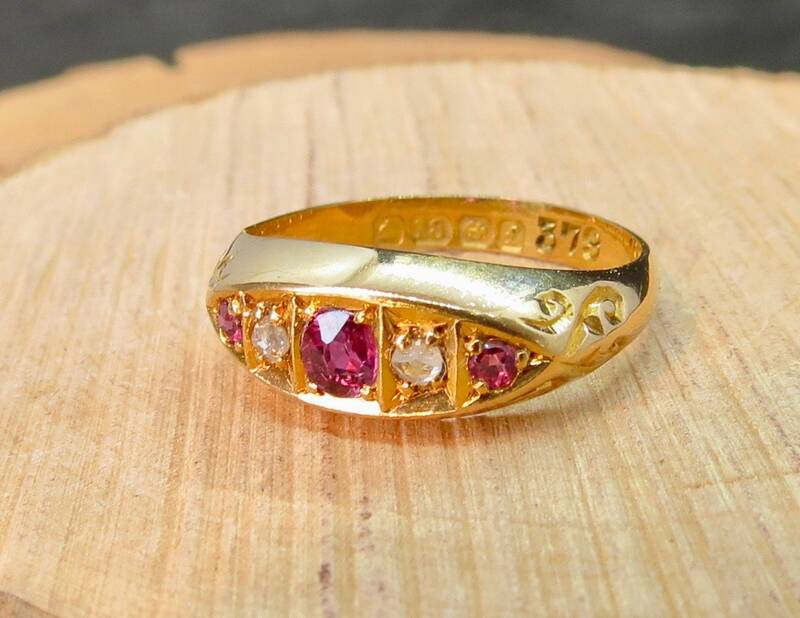 Full British hallmarks, 18K yellow gold Birmingham England, lower case date letter f for the year 1905. 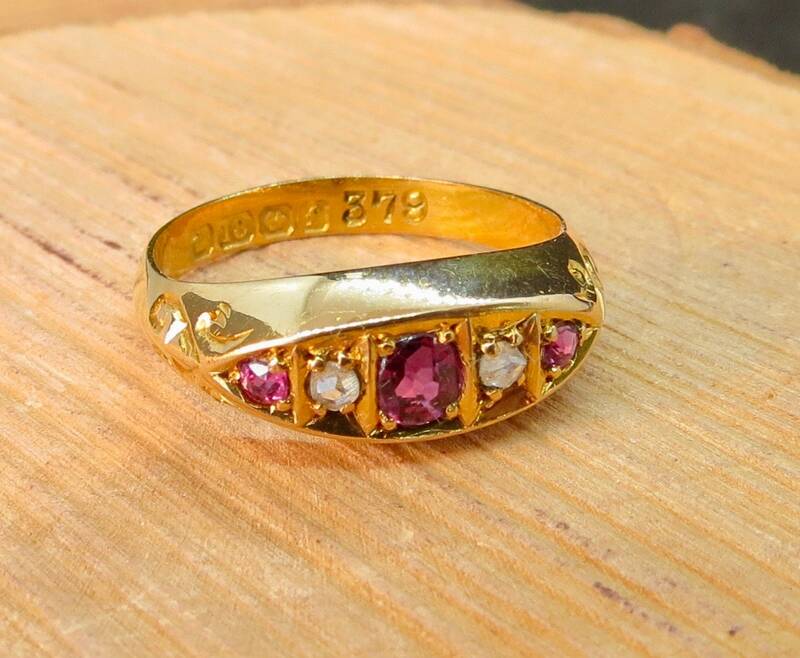 This petite ring is in fine condition.